Design beyond the procedural aspects of health. UVXYZI is a design-research consultancy driven by protocols that service inclusive design agendas. We focus on mapping physical-awareness, conflicts, and the tolerance for error in conditions that serve public activities. Our work interests are in analyzing the visual and spatial interactions of people with images, objects, elements, and in the loose definition of rooms to study the readability of encounters that form along transitions in activity. A principal charge in our work is how visual thinking, observation, and assessment of readability reinforce personal confidence with the environment for both public and personal space. We are concerned with using design to resolve the conflicts that are hazardous to equitable public health and investing in an optimistically healthy built environment. Architect, assistant professor of architecture with 12 years of academic experience collaborating within research entities including North Carolina State University’s College of Design Center for Universal Design, the former University of Michigan Medical Innovation Center, and now the University of Michigan Child Disparities Research Laboratory, Ulysses interests are in designing for domestic situations within institutional conditions. His work utilizes inclusive design techniques to address a range of inequities that span both interior and urban experiences. Ulysses has pursued research, scholarship, and creative practice on the functional aspects and physical characteristics of body systems concerning the design of buildings, Working with researchers and practitioners to design elements of the built environment that will engender comfort and trust as they relate to health and wellness. It is work that continually engages with scholars in disciplines outside of design in a collaborative critical analysis of architectural elements, assistive systems, provisions for medical staff shelter during hazardous procedures, and environmental filters supporting mood transitions after traumatic experiences. All of which draw on the actions of the body as a syntactical narrative defining a unit of measurement. Artist and product designer with 25 years of painting and calligraphy training displaying work with national and international galleries, Ziui’s interests are in applying calligraphic references towards spatial navigation and placemaking. Her work addresses the use of three primary painting techniques - Hierarchy, Contrast, and Abnormality - in directing the visual attention of persons with a range of visual limitations and studies their incremental readability when used as organizational strategies orchestrating a sequence of activities. Ziui has previously utilized this mode of thinking during her career in product placement and retail design, working with a variety of internationally renowned companies to perfect their visual brand. Most notably are Lining sportswear, EbayChina, and Seimens (New Jersey) where she worked on domestic interface systems. 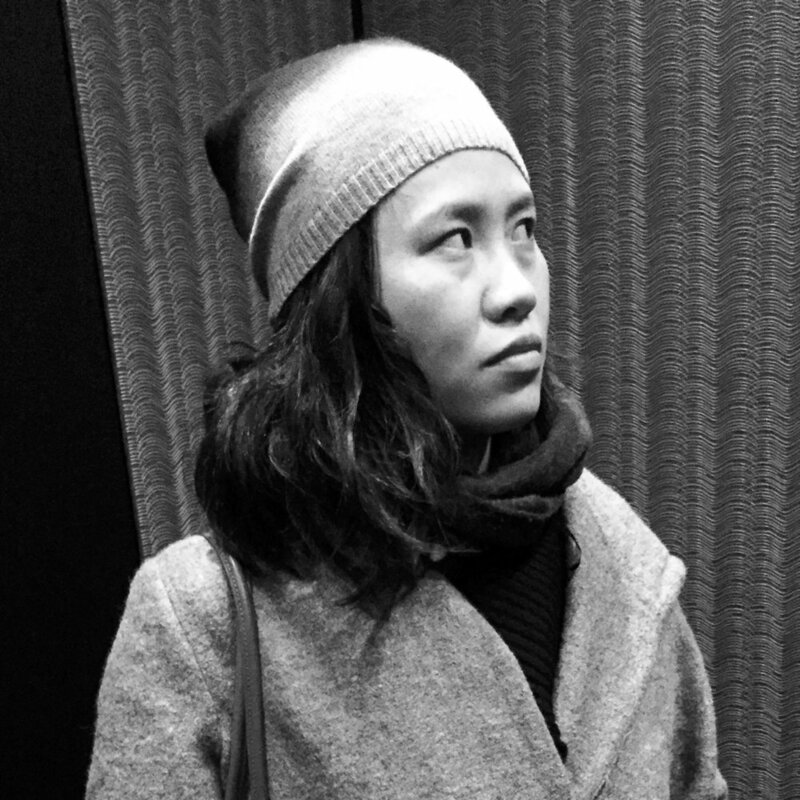 Ziui completed a Bachelor of Arts in Industrial Design from Tsinghua University and a Masters in Fine Arts from the University of Michigan Stamps College of Art and Design where she was awarded a research fellowship to investigate product design interface systems for visually impaired persons. Additionally, she has prior studies in Painting from the Sichuan Fine Arts Academy and has participated in numerous showings for national and international galleries in China, France, Russia, Michigan, and New Jersey.